Friends commissioned me to make them a baby bag and I was happy to oblige. The bag needed to be big enough to hold all the stuff necessary for a baby (which is a lot) and also have some room for their own things. This one finished at 16" x 12.5" x 5.5". 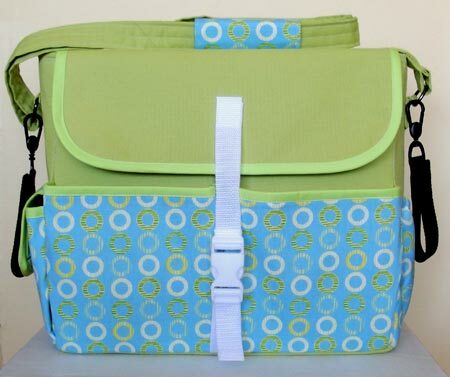 The straps are adjustable so the bag can either be worn cross-body or over the shoulder. 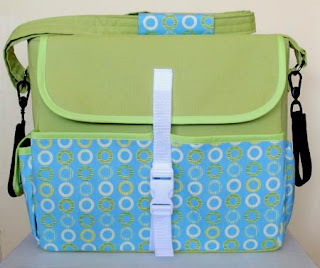 The bag also comes with stroller straps to hang the bag from the back of a stroller because this one will not fit easily beneath the stroller seat. 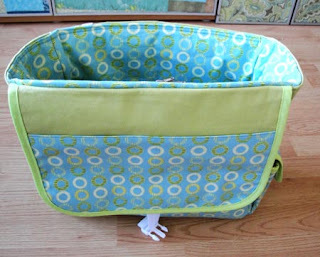 The bag needed to have lots of pockets. The back pocket is secured with a magnetic snap. The front pockets are open and pleated so that they can expand a little. One of the side pockets is lined in flannel to hold sunglasses. The other side is elasticized to hold a bottle. 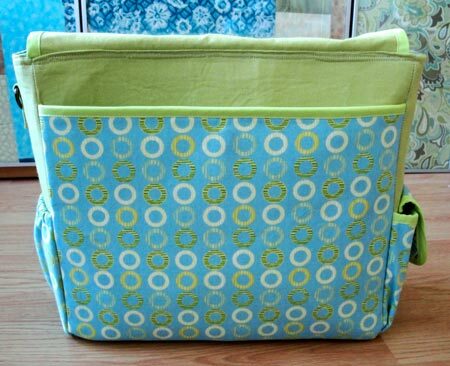 The inside is separated into two sections with a zippered divider. 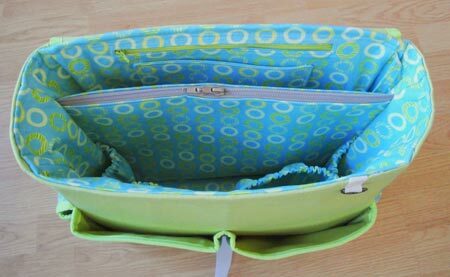 The side closest to the back can be used much like a regular purse: key fob, pocket zipper, open pocket, and not show in the picture, yet 3 more open pockets on the zippered divider to hold a pen, phone and tissues. 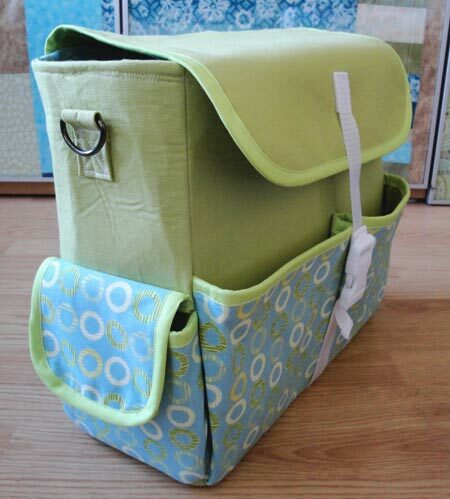 The other side is all elasticized pockets to hold diapers, changing pad, clothing, food, etc. Even the flap has a pocket to hold papers or something small. 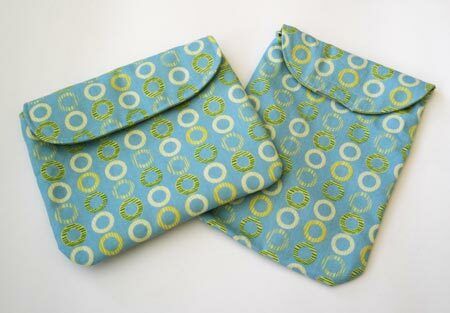 And some pouches to go with the bag to hold a quick change of diapers or something. I didn't use a pattern, but did look at a bunch of tutorials online for all kinds of bags and looked through some patterns on bag making to figure out construction, and looked at online descriptions of all kinds of bags to get a sense of what kind of details to include. A very fun challenge.